On Christmas Day I once again got a 30-day banning from the fb gods for an EIGHT year old post that used the word (gasp) 'muzzie'...a word NOT in their precious Community Standards until just a few years ago, and at which time I of course stopped using. To say I am furious at yet another fb banning for the same infraction done years BEFORE this word was even added to their no-no list...as it upsets delicate islamic sensibilities...has led me to send the statement below to fb as my response. To Facebook: The posts you are now banning me for are EIGHT YEARS OLD done BEFORE the word 'muzzie'...which is again the reason for this banning...was a no-no. You are time and again using 'selective enforcement' against me and I am sick and tired of it to the point where I will consider going on air to let everyone know in detail and with proof exactly what fb is doing to conservatives like me as not only am I a radio show co-host but a published investigative reporter and blogger with over 2.5+ million hits as well (hits are different than email followers). And BTW, I now know exactly how you selectively target people and I will consider exposing that for all to hear and read. Your algorithm is more concerned with pre-Community Standards nonsense than it is with current serious and quite criminal infractions which I am neither guilty of nor being accused of, but I believe this current banning has more to do with the 17,000+ shares a recent conservative post of mine received as it upsets your liberal sensibilities that people are sharing my conservative messages and NOT your favored liberal and islamic propaganda posts. I want this 30-day banning removed immediately...enough is enough of your targeting me for years old posts and comments simply because I used a word NOT meant as an insult but a word used because at the time the 'double zz' circumnavigated the islamist's computers. And BTW. you have NOT banned any liberal for all the vile curse words, vulgarities, and death threats they use against President Trump and his family almost on a daily basis...that could be brought out on air and in print as well along with the fact that you willingly allow in your public venue death threats to be made not only against our president by folks you do NOT block or ban, but for the death threats and hate speech you allow to be posted against Christians and Jews...again almost on a daily basis. 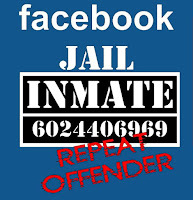 And BTW, why the block on messenger when one is in fb jail especially when messenger is used not just for idle chit-chat between fb friends but for some peoples work but NEVER for posting or commenting on fb because you cannot post or comment on anything from messenger...you should know that. Guess now you at fb deem yourselves not only the 'Big Brother' purveyor of all speech, thoughts, and communication allowed on the internet but also as the lord and master over us all.